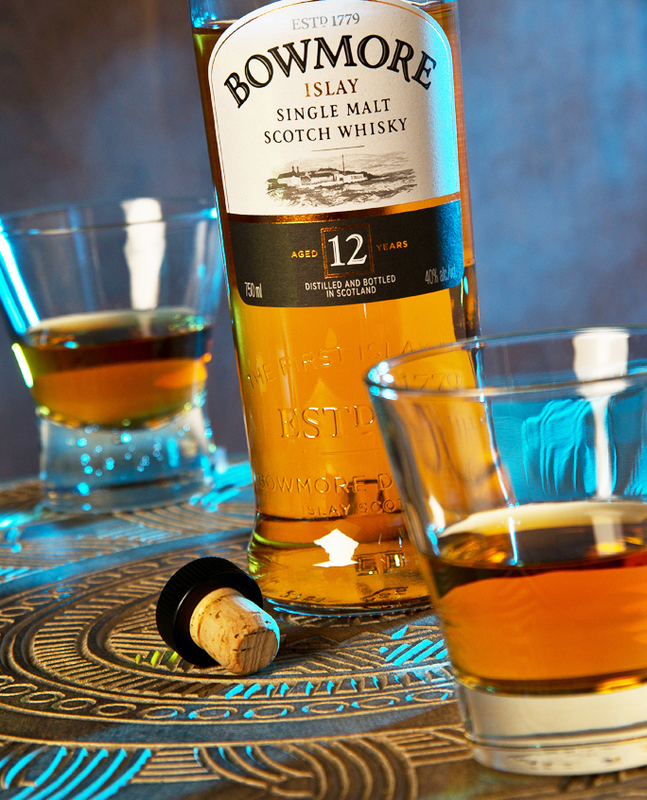 Bowmore 12- As we enter into the cooler fall months it makes perfect sense to add a bit of warmth to our lives. I suggest a glass of this slightly magical amber malt might be the perfect solution. This Islay distillery uses a unique peating process which is manifested in the wonderful smoky nose as you swirl the whisky . Make sure that you taste this with the appropriate glass to help focus the aroma as your enjoy the citrus and honey flavors. I found some saltiness in the front and a lingering finish that is well worth sharing with your best friends……For an Islay Scotch , this one is only moderately peated and in our tasting group it disappeared faster than Houdini. I rate this smoldering beauty a rock solid 8 on the Snob Scale. This entry was posted on October 3, 2014 by kenbuschner. It was filed under Uncategorized and was tagged with Bowmore 12, Islay, peat, scotch, single malt. i need to get into your tasting group….this shall be my next bottle.